We are looking forward to supporting our American colleagues while meeting current and prospective customers alike at the renowned SEMA Show between 30th October and 2nd November, which will mark our third consecutive year in attendance. 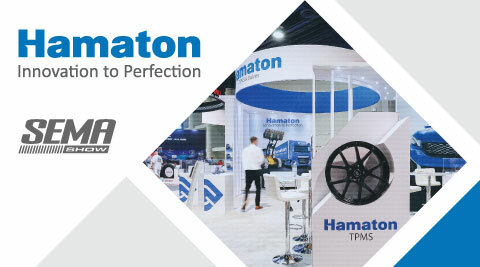 During the four-day exhibition at Las Vegas's Convention Center, we will be showcasing our entire product range including universal and one-one sensors on an impressive 108 square meter stand which you will find in Global Tire Expo, South Hall Lower at stand number 40287 – visit us and take a look around! Furthermore, the united team will be on-hand to provide product demonstrations including how to utilise the many functionalities of our H46 diagnostic tool which was manufactured in partnership with market-leader, ATEQ. Plus, information on the benefits of servicing TPMS valves wherefore we offer a comprehensive range of replacement parts, covering the OE and aftermarket. Please contact Marketing and Business Development Manager, Catharina Lunemann if you would like to arrange a meeting with a member of our team ahead of the 2018 SEMA Show.